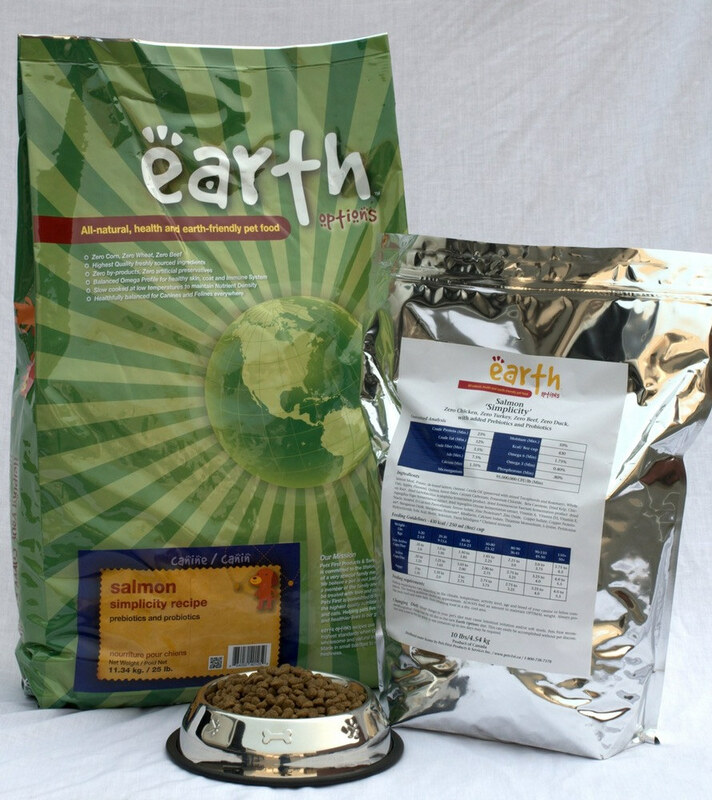 K9 Community Clean has now partnered up with Earth Options to provide nutritious pet food for your convienience. 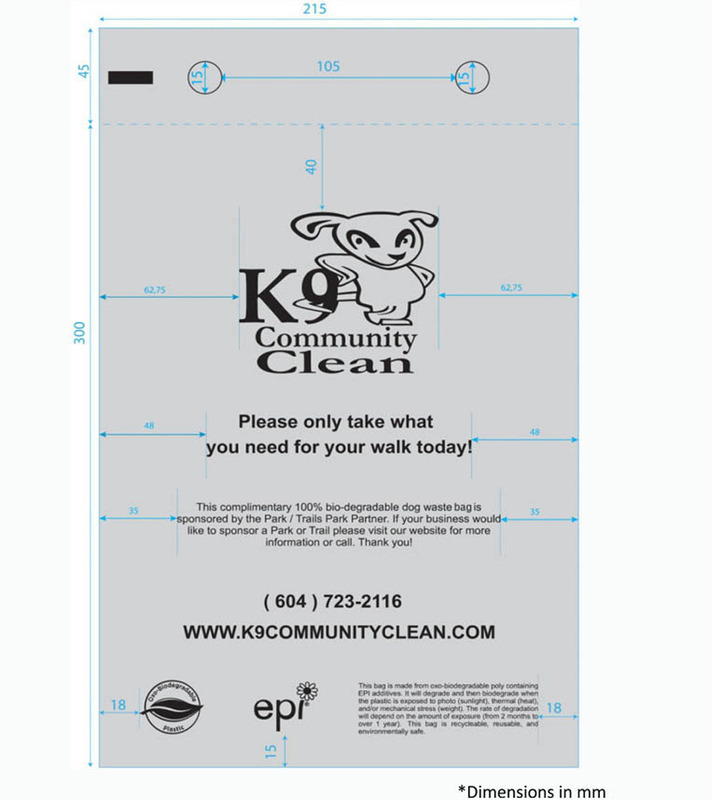 With every purchase of dog food, receive some of our K9 Community Clean dog bags free of charge as our gift to you. 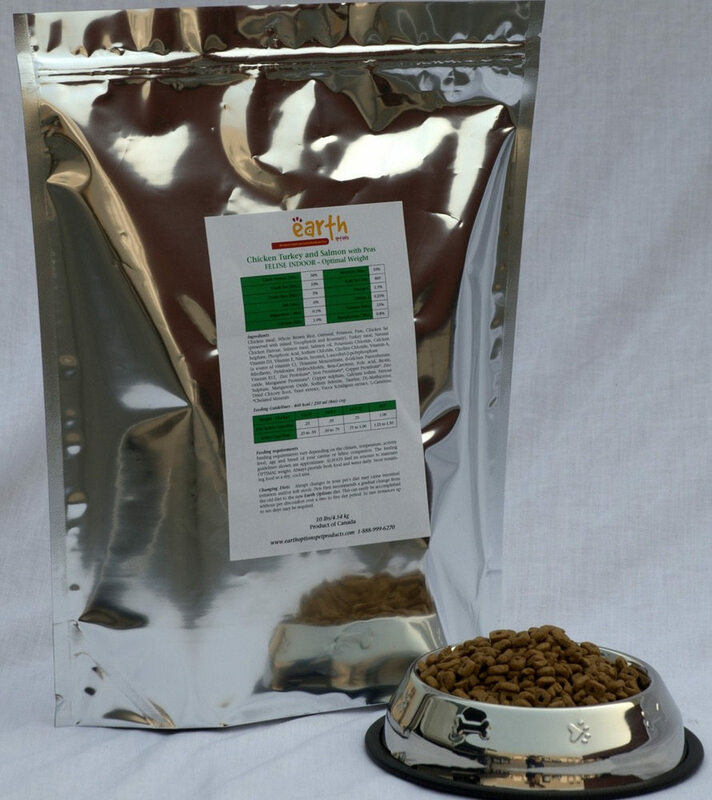 This single protein dry dog food recipe works magic for sensitive stomachs, skin issues and yeast build up. 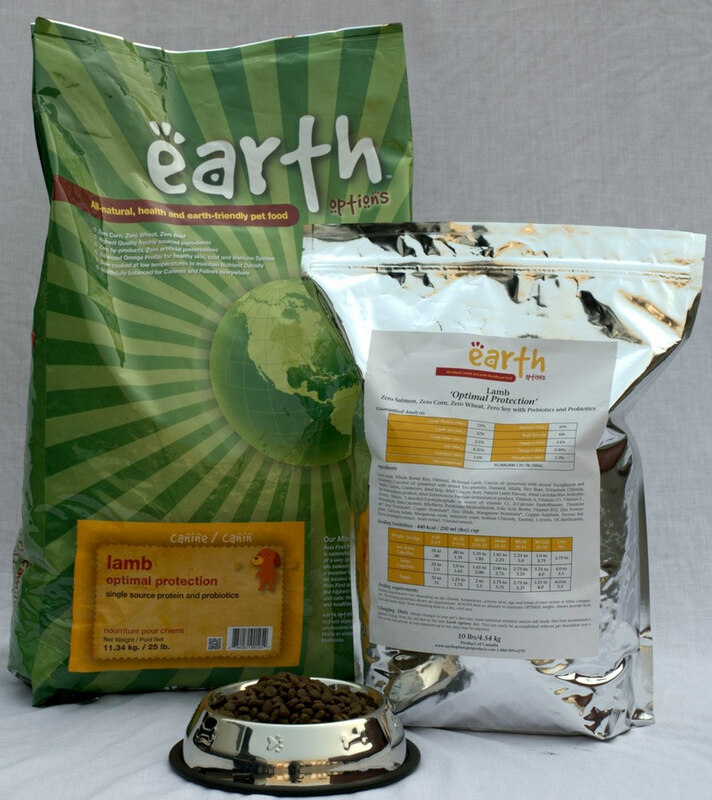 Can be fed to dogs of all life stages and breeds. An excellent alternative to a fish based diet. 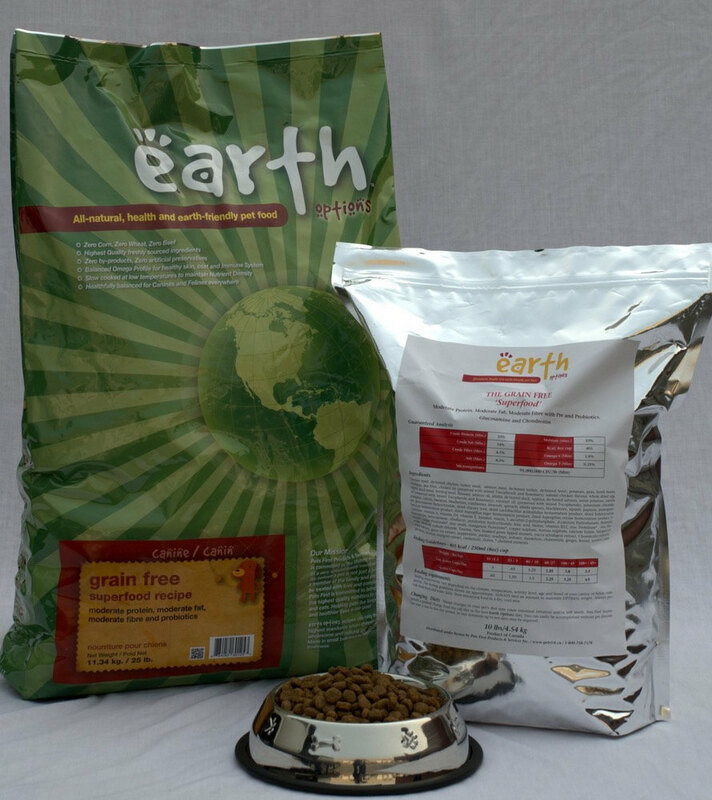 Natural dry dog food proven to be beneficial for dogs with stomach, skin or some grain sensitivities. Salmon is an amazing source of omega 3-fatty acids which provide support to the immune system. 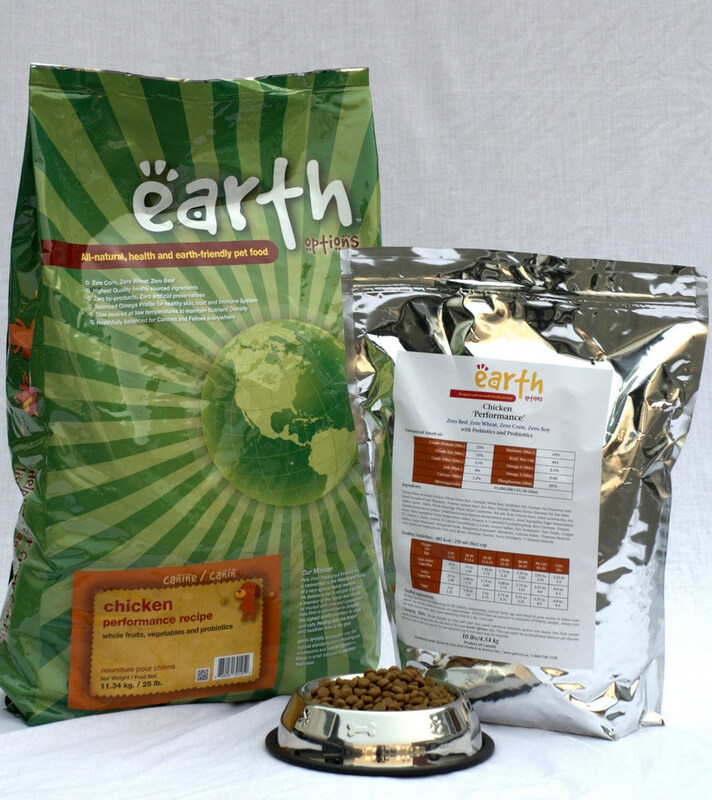 Natural dry dog food packed with fresh chicken, farm fresh veggies, fruits and loaded with omega fatty acids. 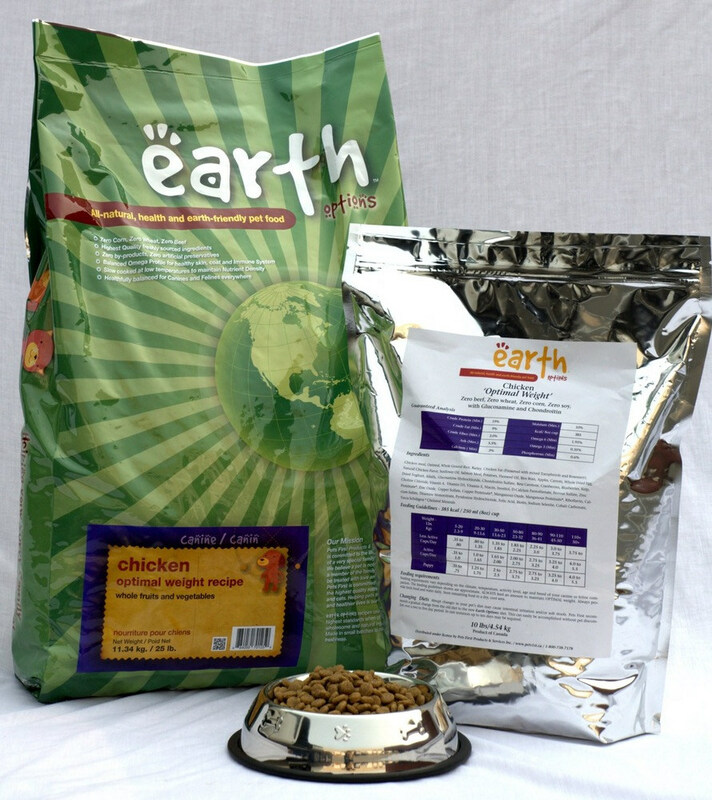 High Chicken meat content, moderate protein and fat levels. Probiotics are the key for proper digestion. 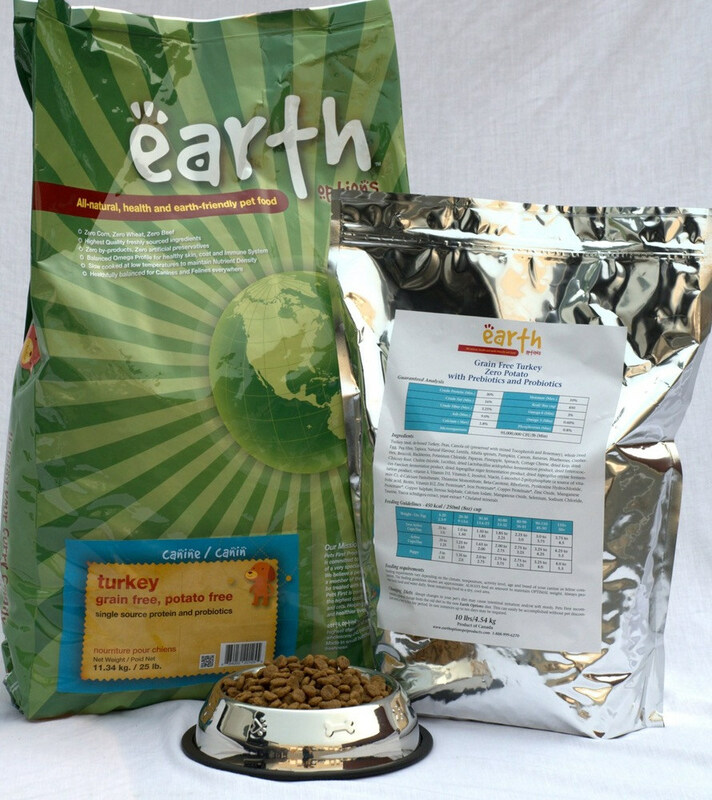 Natural dry dog food with a universal choice of protein because it is easily digested. NO poultry or fish protein in this recipe. Can be compared to bison this recipe is ideal for all life stages.